If you struggle with snoring or sleep apnea, Great Plains Dental offers an evaluation and screening opportunity to see if sleep dentistry can offer you help with Oral Appliance Therapy. Oral Appliance Therapy includes the selection, fitting and use of a specially designed oral appliance that helps to maintain an open airway during sleep. 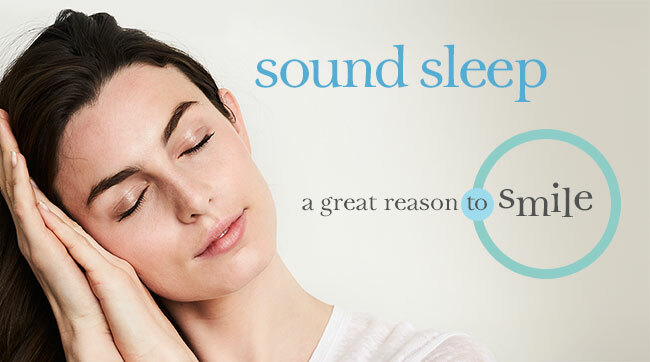 Our dental office may be able to help you with your sleep-related breathing issues by creating an oral appliance that is custom-made specifically for your mouth. This small plastic device fits into your mouth while you sleep helping to keep your airway open for improved sleep. To complete the evaluation, we send you home with a Sleep Monitoring Device that will help us determine the best possible solution for your sleep breathing disorder. If the results indicate that Great Plains Dental cannot help you, we will still refer you to a qualified sleep physician in the Sioux Falls Area. Snoring Problems – Snoring can cause disrupted sleep for both you and your sleeping partner. Snoring happens when tissues at the back of the roof of the mouth vibrates against the back of the throat. The Oral Appliance works to prevent your airway from collapsing. It does this by either holding the tongue or supporting the jaw and decreasing snoring. Obstructive Sleep Apnea – is a common sleeping disorder that occurs when a person pauses breathing or has shallow breathing that interrupts their sleep. Oral Appliances are only recommended for mild to moderate sleep apnea. The Oral Appliance is designed specifically for your mouth and works to improve the upper airway opening. If you have any questions about how an Oral Appliance can help you with snoring or sleep apnea, Contact Us at 605-339-2955.